There is less than three weeks left to make your views known on how the Cairngorms National Park should develop or change in the future with the deadline for comments on the Main Issues Report (MIR) fast approaching. The consultation on the MIR sets out the Cairngorms National Park Authority’s ideas for how things should look in the future and it is at this crucial stage that people should get involved and make their views known. All the information gathered will be considered by officers in preparing a draft Local Development Plan (LDP) for the Park. The LDP is the starting point in making any planning decisions – it sets out how places should change or stay the same and the best location for new homes, businesses, public services and so on. It is used by the CNPA and by the five local authorities covering the Park. Local Development Plans have to updated every five years to ensure they are relevant to people and their communities. The Park Authority wants to know why, how or where communities should change or where they should stay the same. As this is not the first LDP for the Cairngorms National Park it is expected that many of the sites and policies of the current LDP will be carried forward but there are changes to areas such as the affordable housing policy where a more flexible approach is proposed. How and where should development happen in future? How can we capitalise on road and rail improvements? How many new homes do we need and where should they go? How do we protect the Park’s unique environment alongside development? How do we provide essential facilities alongside development? How do we protect and prepare for future events? Each community in the Park also has its own section in the Main Issues Report, setting out areas that could be considered for development in the future or site specific uses. Following the Main Issues Report consultation, the views gathered will help inform the preparation of the Proposed Cairngorms National Park Local Development Plan 2020. It is expected that this will be published for public comment in September 2018. For more information or to take part in the consultation please go to the CNPA website. 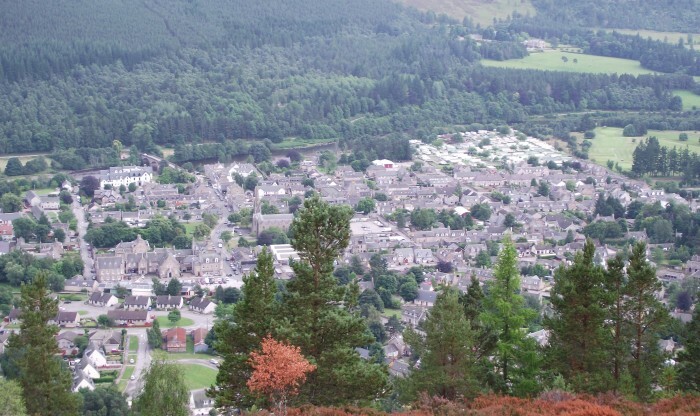 All the documents are available online or hard copies can be viewed at the CNPA’s offices in Grantown and Ballater as well as libraries within the Park. People can keep up to date with progress on the new Local Development Plan on Twitter and Facebook via @cairngormsnews or #BigParkBigQuestions. The consultation closes on Friday 2nd March 2018.